This is all cut and pasted again. I hope everyone understands that, while I enjoy a weird story as much as anyone, my purpose with these posts is to make sure more people know about the evidence that points to the de-volution of mankind, instead of the evolution that the Darwinite minions try to force down our throats. I am firmly convinced that we began our history as a race of beings far superior to what we are now and that traces of a superior technology developed by our ancestors can still be found. I believe that, instead of starting as some half-animals and working our way up to the heights we now enjoy, we were created capable of doing far greater things than we can now imagine and, because of several processes, have become weak and sick and retarded, comparatively. We are only now beginning to get glimmers of what we once achieved. This truth has been systematically hidden from us by those who profit from our ignorance, both human and non-human. 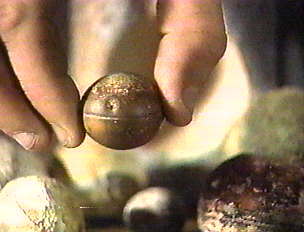 Over the past several decades, South African miners have found hundreds of metallic spheres, at least one of which has three parallel grooves running around its equator. 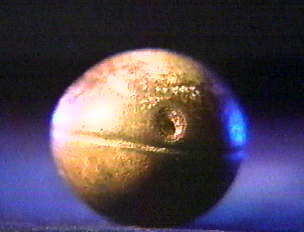 The spheres are of two types--"one of solid bluish metal with white flecks, and another which is a hollow ball filled with a white spongy center" (Jimison 1982). 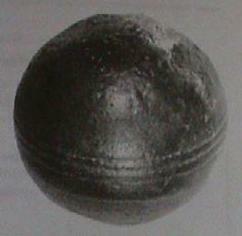 Roelf Marx, curator of the museum of Klerksdorp, South Africa, where some of the spheres are housed, said: "The spheres are a complete mystery. They look man-made, yet at the time in Earth's history when they came to rest in this rock no intelligent life existed. They're nothing like I have ever seen before" (Jimison 1982). While playing with the stone on a very flat surface at a restaurant one day, Hund realized it was very well balanced. He took it to the California Space Institute at the University of California to have tests done to determine just how well balanced it was. "It turned out that the balance is so fine, it exceeded the limit of their measuring technology and these are the guys who make gyrocompasses for NASA. 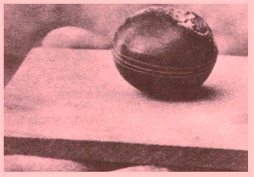 The stone is balanced to within one-hundred thousandths of an inch from absolute perfection," explains Hund. Nobody knows what these stones are.